New Delhi : There's is hardly anyone who can forget the deadly Ethiopian Airline crash that killed all its 157 passengers on March 10, this year. The fatal crash of Boeing 737 Max plane claimed so many lives last month, although it was assumed that pilots attempted to stop the crash, the plane was doomed. There was a big question about the crash and finally the reason of the accident has been revealed. Why Ethiopian Airline crashed drastically? According to sources close to an investigation, a sensor of the plane had been damaged at take off either by a bird or an as yet unidentified object. The sensor gave pilots inaccurate information which prompted them to turn off software designed to stop the plane stalling. The MCAS system is thought to have re-engaged and by default pushed the nose of the plane down to stop any chance of stalling. There is also a possibility that the system was turned off too late on the flight to regain control. However, it remains unclear if pilots re-engaged the MCAS system manually. Earlier in October 2018, Lion Air Boeing 737 Max aircraft crashed took place in Indonesia. Since then, the software has been subjected to investigation. Preliminary report suggest that doomed jet's crew followed guidance provided by Boeing on how to fly the plane, including emergency procedures, but failed to regain control of the jet, putting the blame largely on the manufacturer. Investigators believe that something wrong happened to one of the external sensors linked to the MCAS system on the Ethiopian jet and it began to send erroneous information, triggering the system. This is similar to what data show happened on the Lion Air flight. Meanwhile Boeing Commercial Airplanes President and CEO Kevin McAllister said that the company will carefully review the preliminary report. "The preliminary report contains flight data recorder information indicating the airplane had an erroneous angle of attack sensor input that activated the Maneuvering Characteristics Augmentation System (MCAS) function during the flight, as it had during the Lion Air 610 flight," Boeing said in a statement. 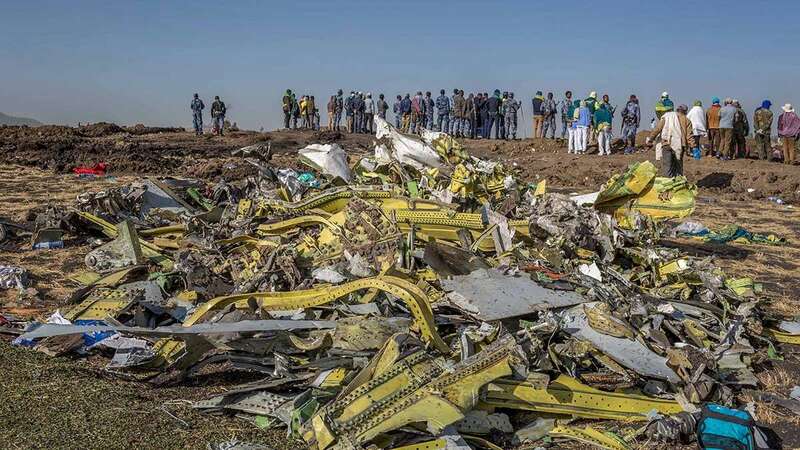 Conversely, the Ethiopian Transport Minister on Thursday confirmed that the crew of Flight 302 did switch the faulty MCAS system back on after initially disabling it when they encountered problems.